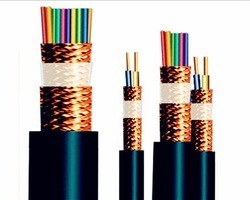 Leading Manufacturer of zero halogen flame retardant cables from Sonipat. Based on Poly-olefinic thermoplastic compound, EVEREST 'O'HFR wires have properties to emit smoke free, non-toxic, non-corrosive gases in case of fire, besides other fire retarding properties. They are ideal for use in public places where risk of human lives and property are of prime concern. Looking for Flame Retardant Cables ?